In the 1960s, organizations funded by a new statewide antipoverty effort called the North Carolina Fund formed in Durham to organize poor people across race. United Organizations for Community Improvement (UOCI), Operation Breakthrough, and ACT were three organizations on the frontlines of the fight for better housing. 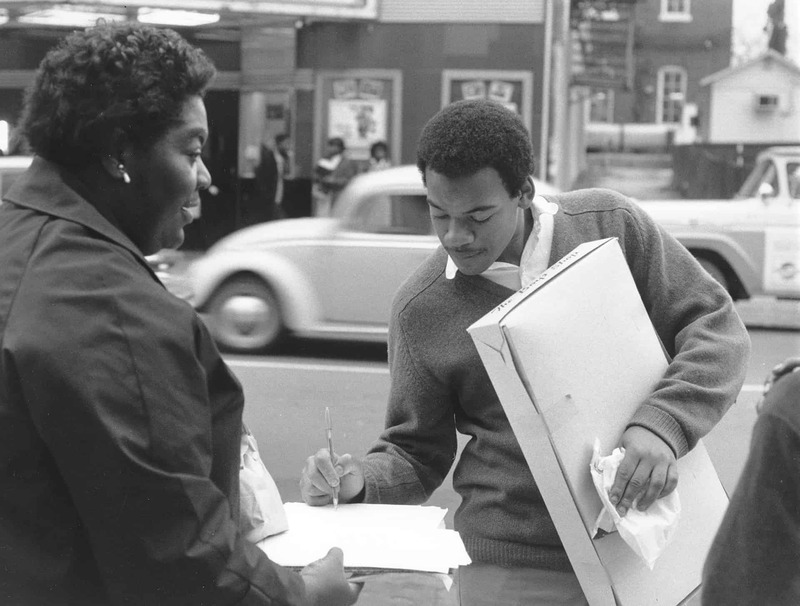 Organizer Ann Atwater, a UOCI leader, gathers signatures on the street, circa 1965. Mostly through 1-on-1 conversations, UOCI organizers built strong relationships with their neighbors and got them involved in UOCI’s fair housing work. By 1967, UOCI had over 700 dues-paying members–most of them women–and was a powerful Black-led political force in Durham. 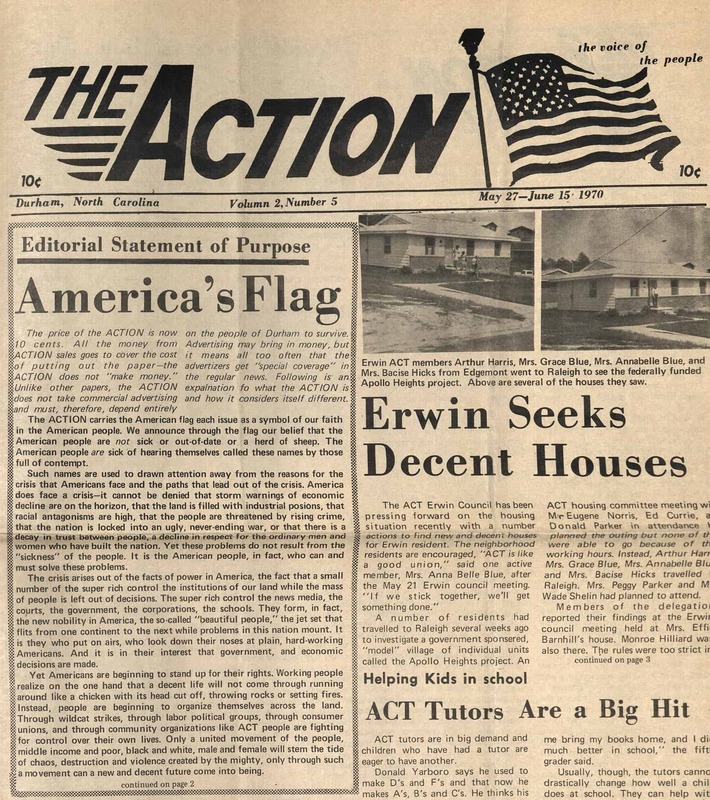 The Action was the newsletter of ACT, which organized in poor white neighborhoods in Durham. ACT drew inspiration from UOCI’s model of neighborhood councils. The two organizations worked together for improved housing, 1970.